From Girl Scouts to Greenpeace, fundraising is a part of everyday life for millions around the world. And the globalized economy has brought new ways to find donors, organize fundraisers and manage your organization. This new generation is specifically fond of donating to a cause they care about. Nearly 75 percent of young adults are willing to raise money for organizations that matter to them. The same survey showed that 60 percent of millennials donate an average of $481 to nonprofits every year. There are a ton of software products specifically devoted to fundraising. These tools are usually used by nonprofit groups to gather and organize funds. They also help in ensuring donor loyalty, cycling donations and running campaigns. These tools also integrate with a variety of nonprofit accounting software, nonprofit CRM software and donor management software products. They’re great tools for creating detailed, professional-looking fundraising campaigns, and the integrations ease the business parts for simplified management. Finding people who both support your cause and have the means to donate can be a huge challenge. Donor prospect research software tools are an amazing tool for fundraisers who are struggling to find people interested in their cause. The products provide in-depth data on philanthropic records relating to similar fundraising groups. Many of them create profiles and rate or score potential donors on their previous contributions, economic standing and their propensity to collaborate with similar organizations. Social media marketing software is another wonderful solution for spreading awareness about your cause and recruiting supporters. From management to analytics, there are tons of tools available to spread your message across a variety of social media platforms. Acquiring donations is far from the only component of fundraising. Keeping track of your community and their donations can take a lot more than an address book or spreadsheet. One of the best tools for keeping track of this information is a donor management solution. These solutions help users create a database for historical records of their funds and donors. In addition, many of the products include letter templates and donation forms that users can customize to create personalized communications with the members of their community. Email features often provide tools for creating newsletters, updating constituents and requesting additional donations. Accounting software and nonprofit CRM tools can also be highly beneficial, especially if your organization has many employees. These tools help manage and track the expenses of marketing campaigns and facilitate communications with your constituents. 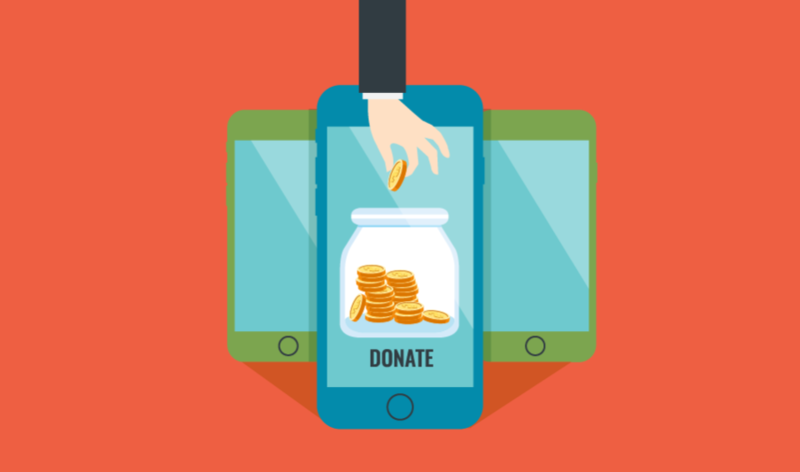 While donations may be tax-deductible and your nonprofit may be tax exempt, you still need to keep detailed records of funds raised and money spent. Nonprofit CRM solutions are your best bet in creating a centralized pool of information. If you’re in the early stages of launching a nonprofit, you’ll need a business plan and some finance predictions outlined to obtain your 501(c)(3). Nonprofit CRM and ERP software tools can be key to making sure all the data you plan to submit is accurate and fulfils the government’s needs. If your organization is searching for funding grants or hoping to keep better records of your grants, grant management software software should definitely be considered. These tools help search, adopt and process grant funding. They also help document additional funding, so if you keep detailed records of all your fundraisers, their donations and your expenses, dealing with the government shouldn’t be a problem. Are you interested in fundraising? Do you think software could help facilitate your needs? Scroll through our fundraising software page to find the right tool for you.